I love zucchini fritters. Especially at Turkish restaurants. I used to be vegetarian, so these were kind of a staple for me if dining out Turkish. But I don’t need an occasion to enjoy them. I am sometimes surprised that zucchini fritters haven’t caught on the Aussie kitchen repertoire the same way that corn fritters have. It is a similar concept as it can be served for a light dinner or for breakfast. 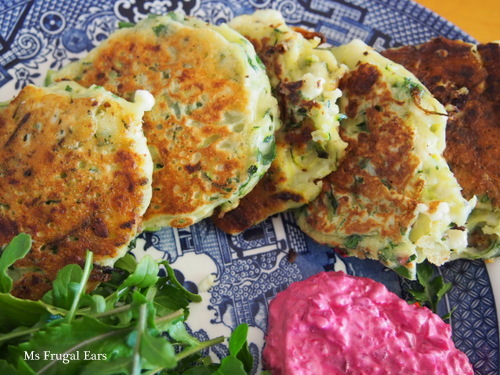 But zucchini fritters are super frugal when in season, especially if you have a vegie patch going gang busters (or a neighbour over the back fence who is desperate to get rid of some). This time of year as winter approaches there is a bit of a mad rush to use them up (at least there is in Canberra). 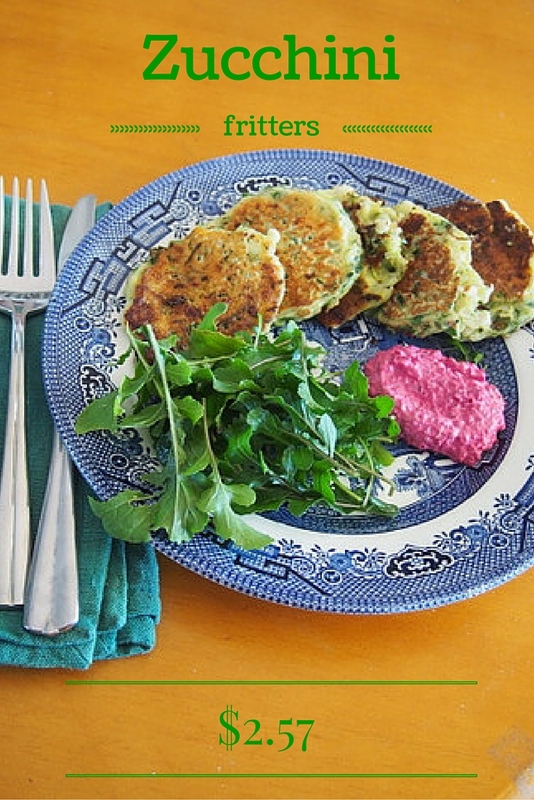 This is my recipe for zucchini fritters. I really like mine made with mint and black pepper, but you can use other fresh herbs such as basil. Being frugal, I use perhaps only half of a block of ALDI fetta. (And I often use homemade cheese from strained yoghurt or even homemade ricotta.) If you are less frugal than me you can go all out and use more fetta, but I think this is adequate. You could even get away with less. I think they are tasty:) Thank you for your comment. Thank you. They are very easy to make. Love an easy to make and on top of that such a yummy treat, from your newest follower. Love your blog and if you’re not already following, please pop over and join us.